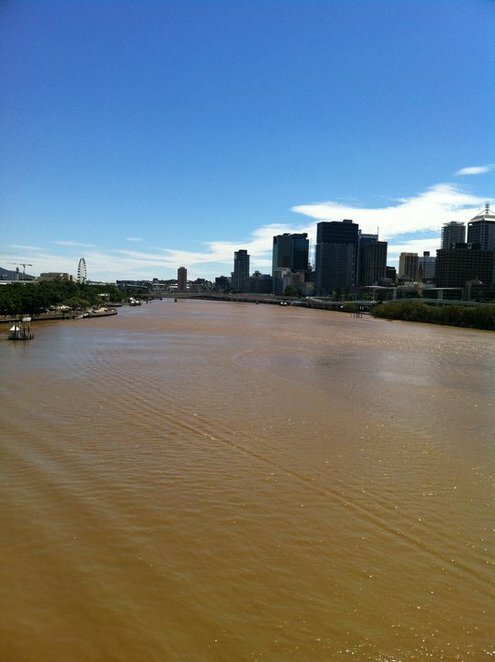 Why is the Brisbane River so Brown? When you think of Brisbane, it's likely that images of the river winding its way through the city, and as a backdrop to the Brisbane Wheel at Southbank will come to mind. 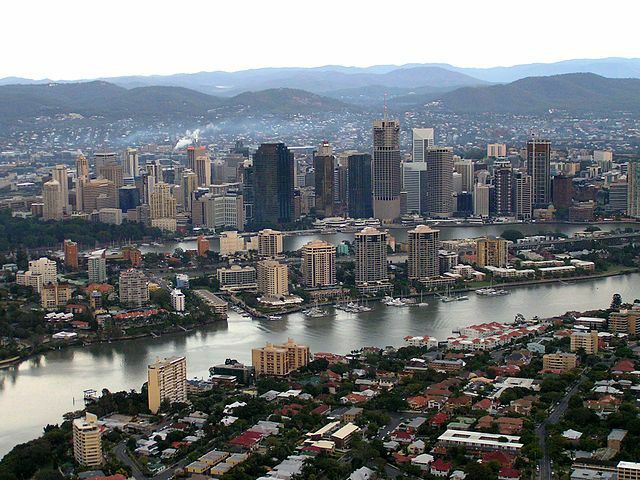 The impressive 344km length river snakes its way through the central business district of Queensland's capital and alongside some of the city's most recognisable suburbs before opening out into Morton Bay, 14kms downstream from the CBD. While the river is synonymous with the city, unfortunately a shade of murky brown also characterises the waterway – which has only seemed to get worse in recent years. The brownest in recent years was the months after the 2011 floods when huge quantities of mud from the Lockyer Valley entered the catchment. Although for flood affected residents, there was undoubtedly much more to worry about during this time than the colour of their local river. Not every day the river looks like the chocolate stream in Willy Wonka's factory has inspired it however. Sometimes on a sunny day, the blue sky reflected in the water, it looks almost enticing enough to take a dip – until you remember the bull sharks and think better of it. Why exactly is the river so brown? Has it always been like this? Firstly, the river has not always had the tendency to showcase brown richness. Believe it or not, as recently as the 1930s, swimming carnivals were actually held in the river using floating tidal baths. Mowbray Park, Dutton Park and near the Victoria bridge were all sites for these floating baths which were considered to be shark proof and used by many as popular places to cool off and exercise. It's hard to imagine now, but this was in an era when the river was a distinct greeny blue colour with far less tidal movement both upstream and downstream – and less disruption of silt from water turbulence. Since then, the turbidity has increased mainly due to dredging. Despite the fact that dredging made the river deeper and easier to navigate upstream, it caused riverbank erosion and affected tidal movements. In combination with runoff from agricultural and mining activities, it is because of these activities that the Brisbane River is so often a muddy brown. Instead of particles settling to the bottom quickly like they naturally would, due to the affected tidal movements they stay suspended for longer, before finally working their way out into Moreton Bay. There's no doubt that this excess silt in Moreton Bay is a concern to the sea turtle and dugong population who feed off seagrass. Excess silt blocks light and can affect growth of seagrass, meaning populations of both species may be affected. Fortunately according to Professor Paul Greenfield, the scientific chair of South East Queensland Healthy Waterways, evidence shows that seagrass is staying put, for the time being at least. Is all hope lost for the magnificent Brisbane River? Thankfully no. Despite its brown hue, and being asked by visitors from Frankfurt about the colour of the river (they proudly told me their river was blue and clean,) not always is the river quite so brown. In fact, on some occasions it can actually be comparatively clear. Depending on the tides, and the periods between significant rainfall and storms, the river can be much less murky from fewer solids entering the catchment. It is during these periods that dolphins have been spotted as far upstream as Goodna, something that would never happen when the river is at its brownest. Fortunately, regulations prevent the disposal of untreated effluent and industry waste into the river, but worryingly traces have still been found. With London's River Thames once declared 'dead,' but now at its cleanest in living memory and teeming with wildlife, there is still hope for Brisbane. For the long neglected Brisbane River, it's time policy makers take action, and quickly. An interesting read, Julian. Thanks for sharing. I never knew that I wanted to know the answer to this question ;) Very interesting article and great photos! No Tony, only the Yarra River flows upside down. I am 74 and grew up in Teneriffe when it was all hide and wool stores and wharf's. In the 40's us kids were always under the wharf's playing or fishing and we caught some good Bream at times, then there was the annual Perch season, where pearch (now called School Dew) were caught in their thousands especially around Mowbray Park, but the river was never as brown as it is today, but it was always full of oil floating on top, probably from spillage and bilges of ships, but nobody seemed to care. 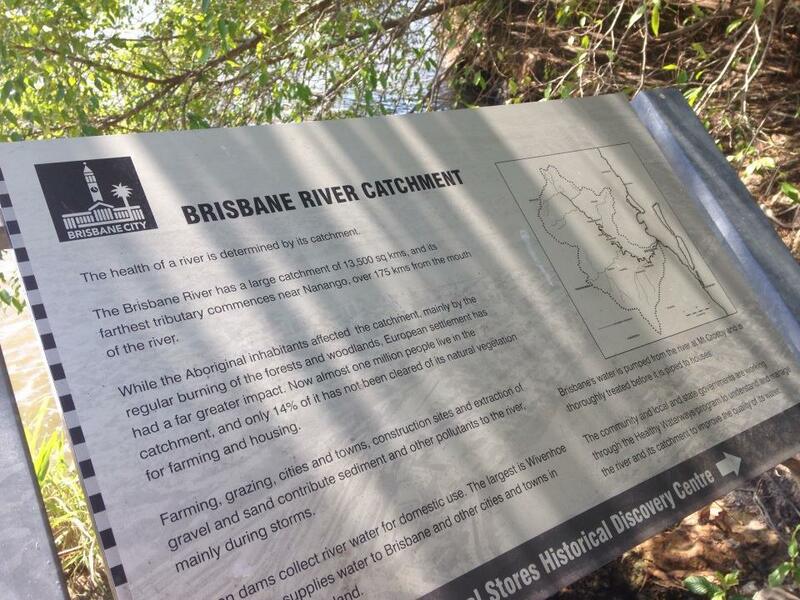 Karreman Mining who extract gravel and sand from the Upper Brisbane river have a lot to do with it too. The mining causes huge erosion on the adjacent farmlands and plenty of problems for the farmers who are subsequently under plenty of pressure to stay quiet about it. There are big question marks also surrounding the mining and whether or not that were actually allowed to continue, but Jeff Seeney conveniently back-dated legislation in order for them to continue. Karreman is also a big LNP donor. Karreman Mining are almost entirely responsible for the colour of the river and they quietly go about it without many of us realising. Very interesting article! That is something I have always wondered so thanks for clearing that up! 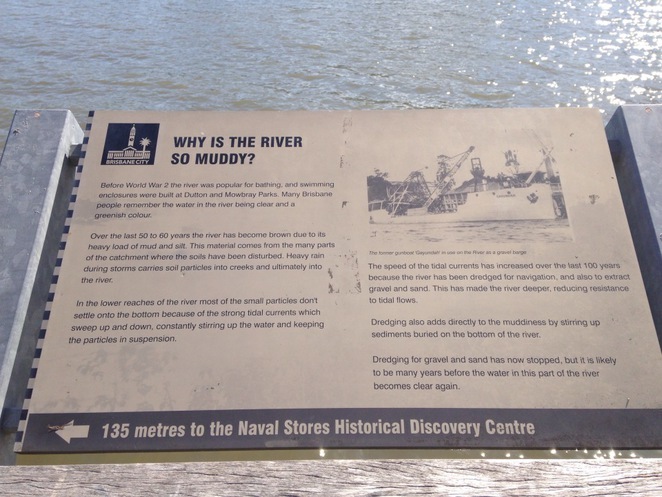 the river is brown due to runoff from upstream farming land, so you are incorrectly presuming that the cause is 'neglect' from industrial pollutants (as was the case with the Thames in London and the Swan River in Perth WA). And to suggest that tidal flows have changed significantly is ridiculous. Of course, the floods in 1974 and 2011 exacerbated the problem and particulate matter has caused short-term problems in Moreton Bay, but farming must continue on the Darling Downs.